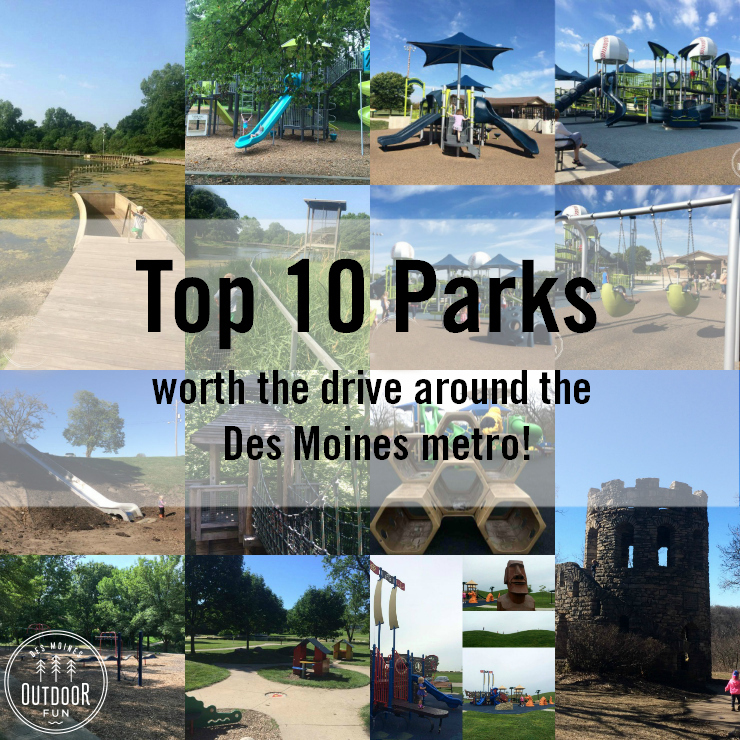 I’ve been thinking about this post for a while and finally made a list, it’s my personal top ten parks around the Des Moines metro! These are the parks that I think are worth a 30-45 minute drive from wherever you are because they are so fun, appeal to multiple ages, and have something(s) that can’t be found anywhere else! 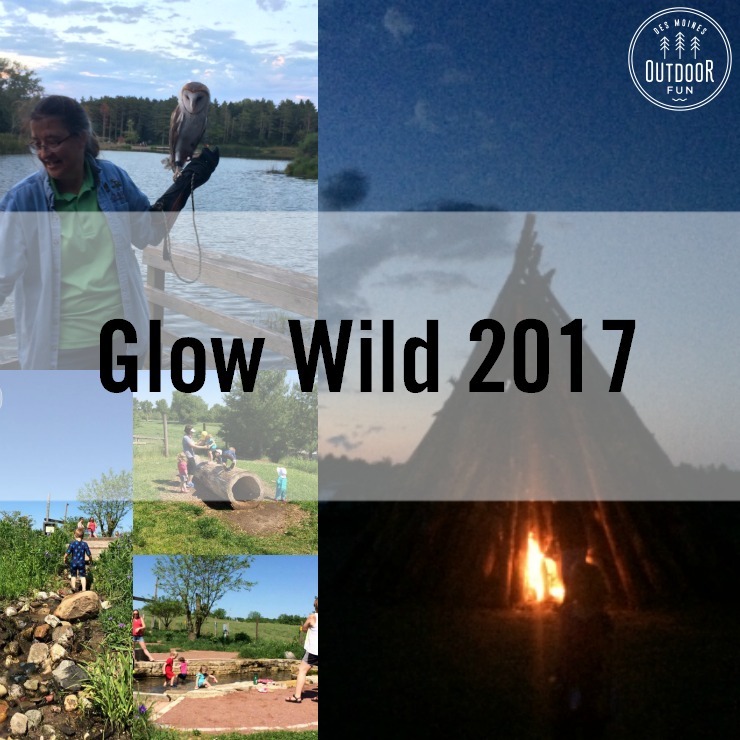 I’ve included a little blurb about why we love each park and you can click on the link to see more pictures and nitty gritty details about each spot. There is a map at the bottom to see where they all are, let me know if you think I left any place out that deserves to be here! 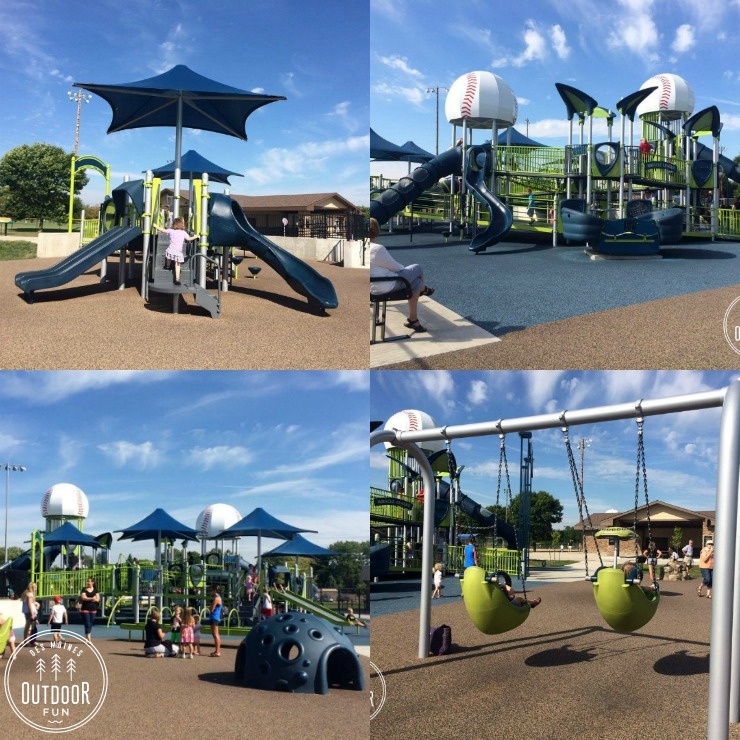 Ashley Okland Star Playground is a part of Ewing Park in Des Moines; it is designed to be inclusive and has adaptive swings, rubber footing, a large swing/boat that wheelchairs can fit on, and ramps. It has a unique honeycomb climbing tree, and a great combination of climbing webs and spinners. 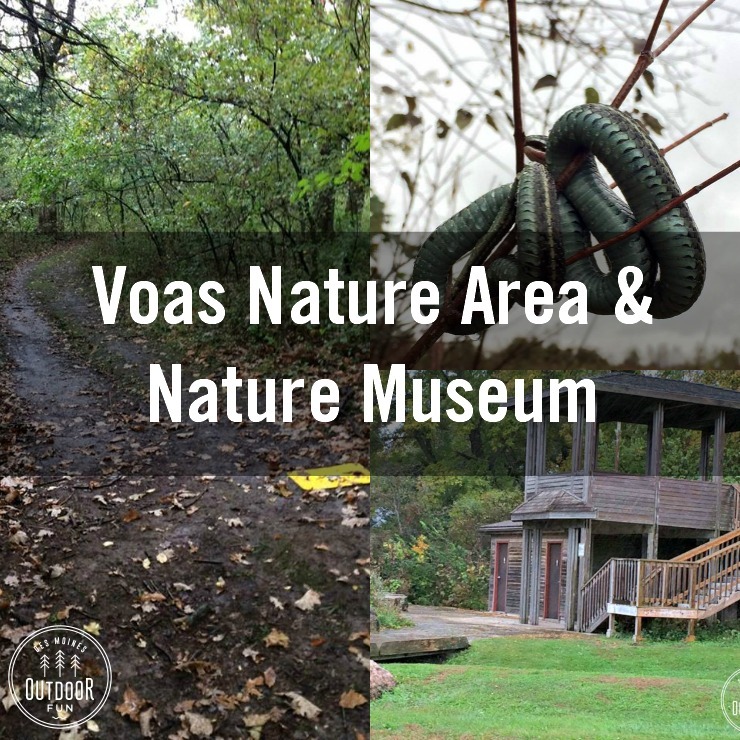 There is a nature trail nearby perfect for younger kids with lots of bridges, twists, and turns. It’s easy to spend a full morning there and keep everyone happy! Big Creek State Park is in Polk City, with the biggest wooden playset around. 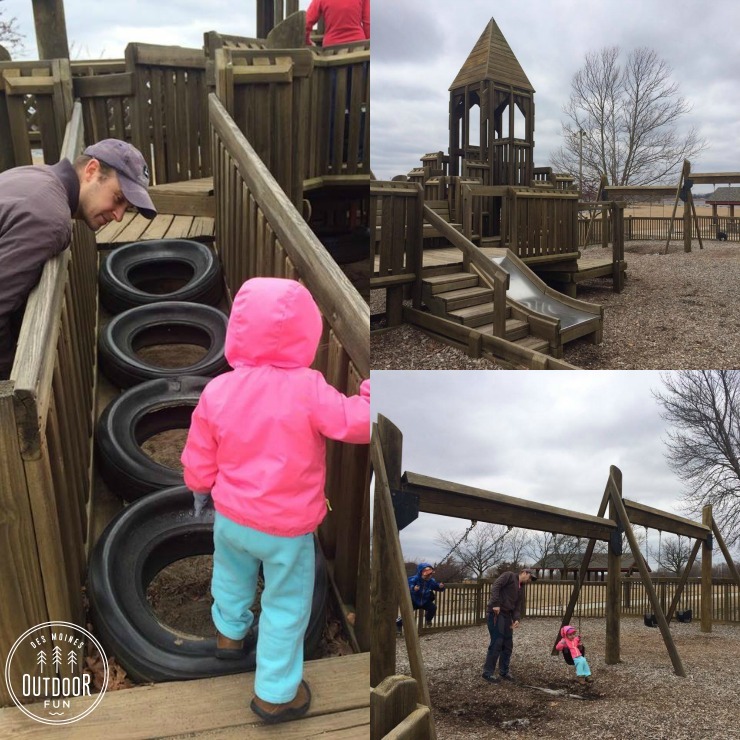 It’s a huge playground with toddler and bigger kid sized elements, tire swings, pretend boats, and lots of space to roam. My kids love the tunnels and turrets! There is a beach right nearby and paved trails to explore as well. During summer you can rent boats from the marina as well. Brenton Arboretum is in Dallas Center and one of our very favorite places. 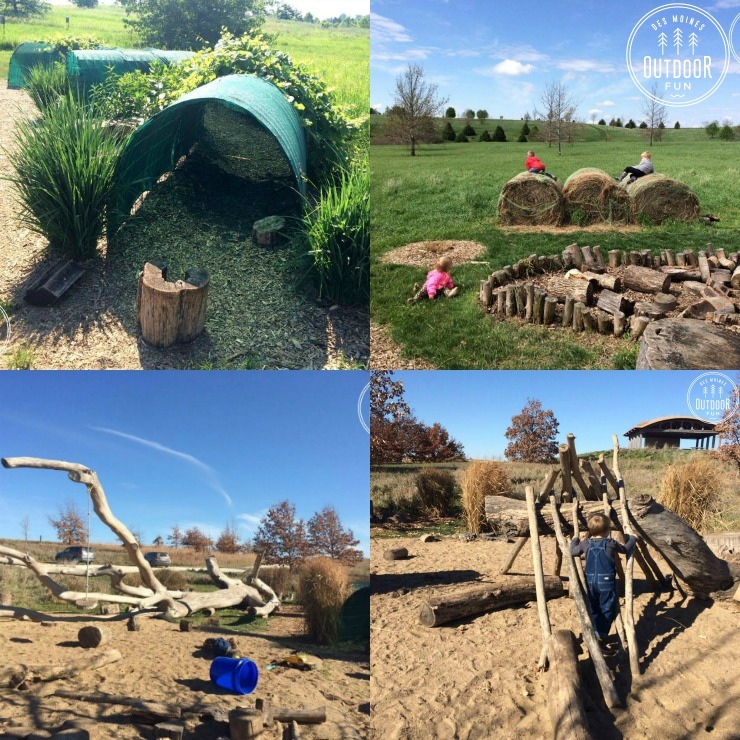 This is the nature playscape, with lots of loose parts and fun things to build and explore. There is a pond nearby, lots of grass trails, and beautiful views. Bring shovels for the sand! 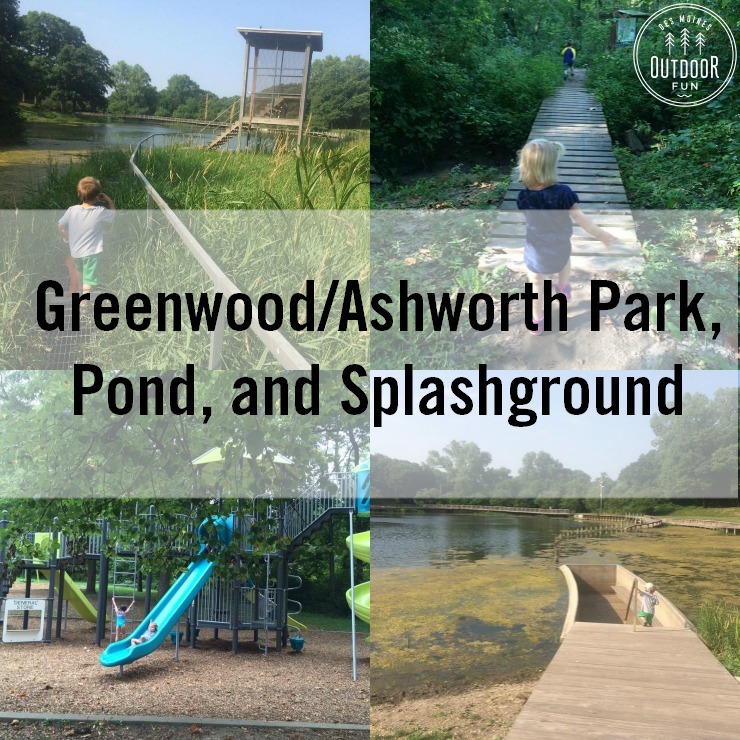 Greenwood/Ashworth Park is in Des Moines, with a new playground up the hill (and a splash pad) and then a beautiful pond with a dugout, observation tower, and several docks to observe and explore. 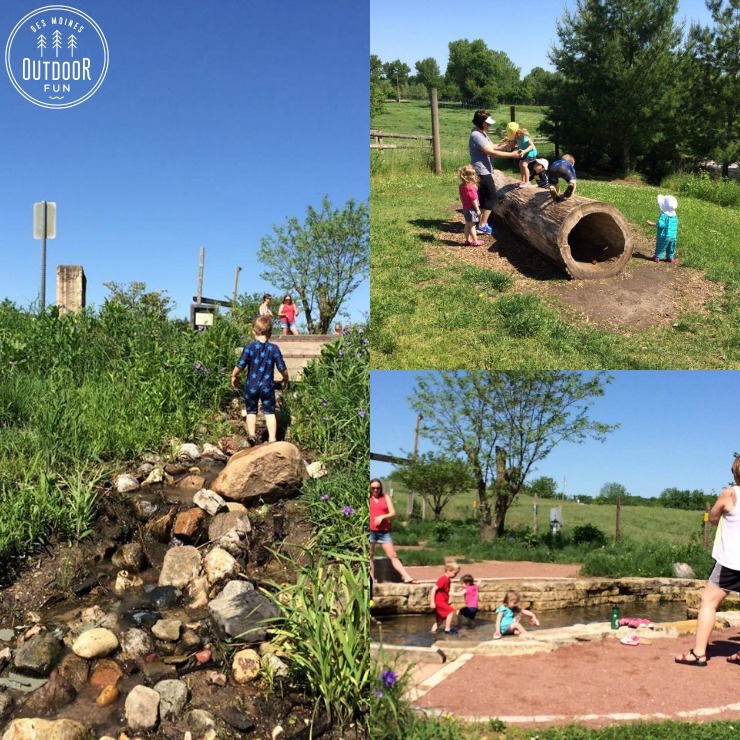 My kids enjoy the playground tucked into the trees and then walking down to spot frogs and wildflowers at the pond. There are additional dirt trails back behind Ashworth pool for further hiking. 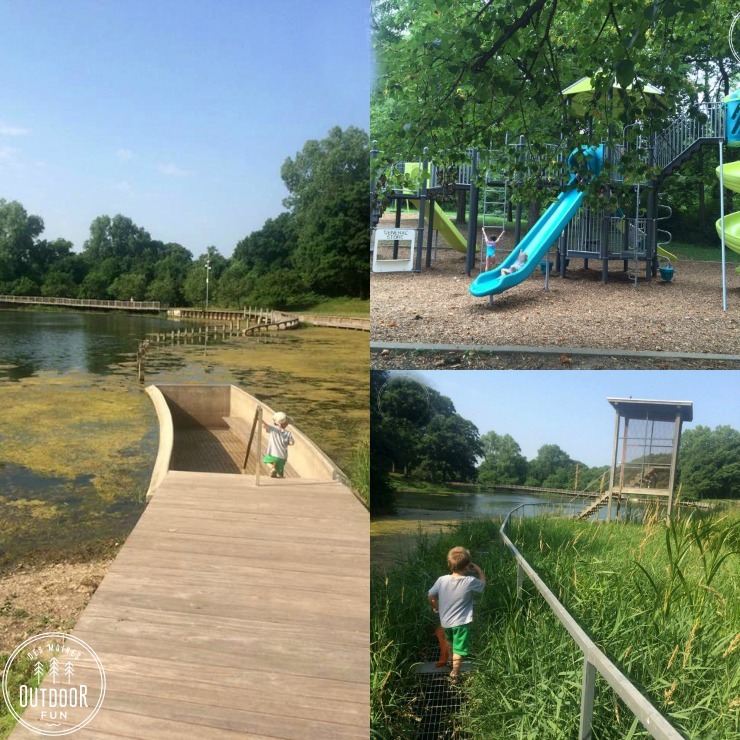 Jester Park in Granger is one of the area’s most popular county parks and for good reason! There is a traditional playground but we love the natural playscape. With loose parts, climbing logs, sand, a water pool, my kids can play for hours. 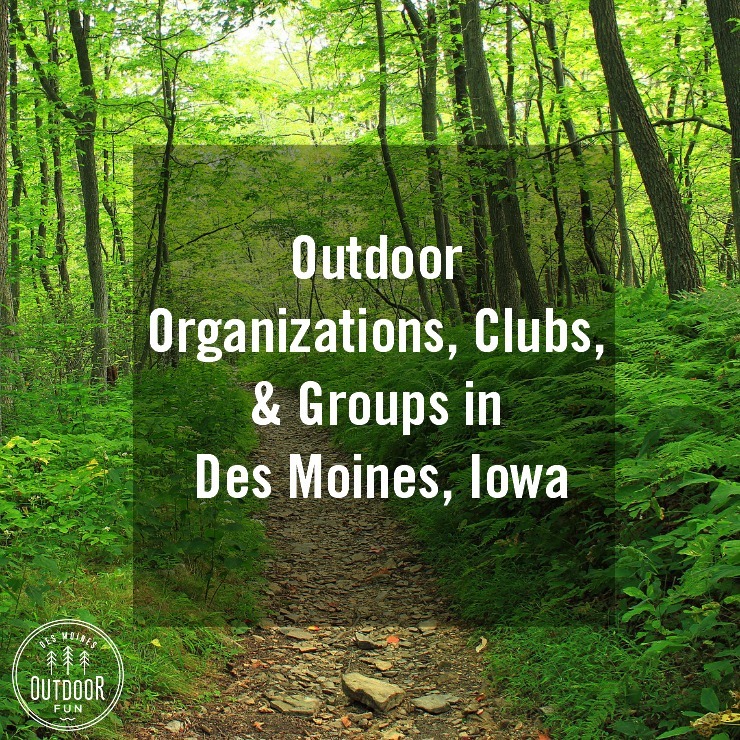 There are buffalo and elk, and some great kid-friendly trails within walking distance. Ironwood Park is also often known as “The Pirate Ship Park”, in Altoona. 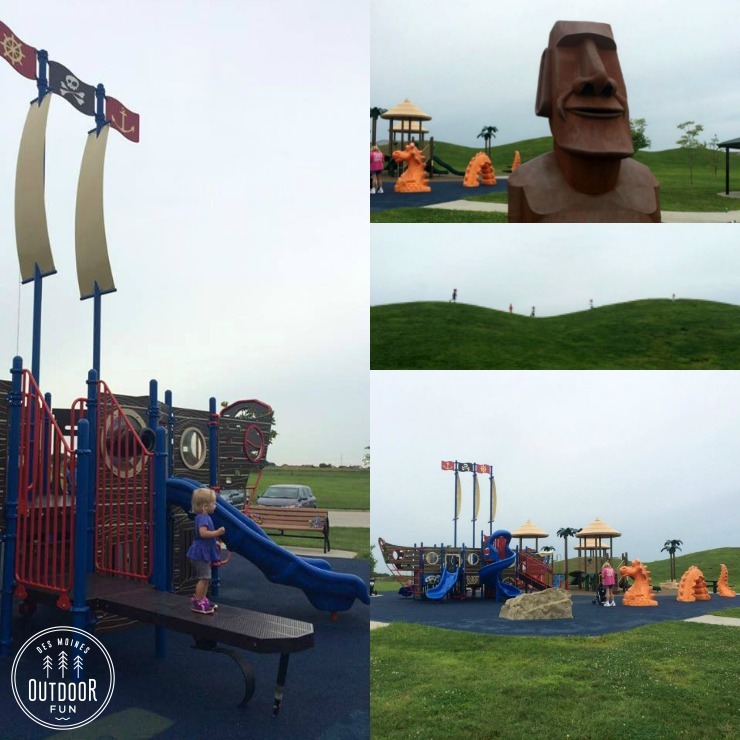 There is great public art (sculpture is “Moai Dude” created by John Brommel), a fun water monster to climb, a pirate ship playground with a plank, a larger playground for older kids, and huge hills to run up and roll down. 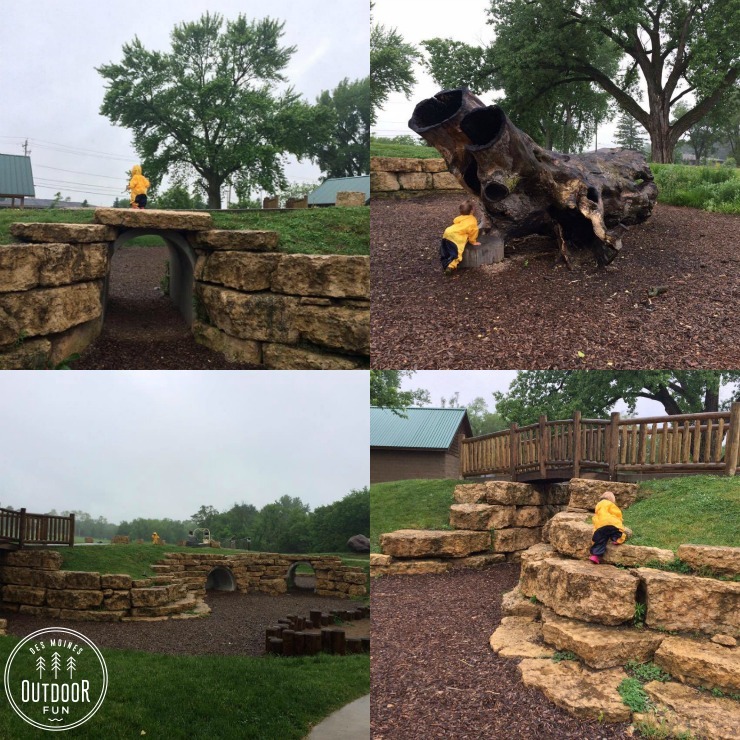 Miracle Park in Ankeny is designed to be inclusive and has many adaptive features like a wheelchair-friendly swing, swings, and rubber footing. 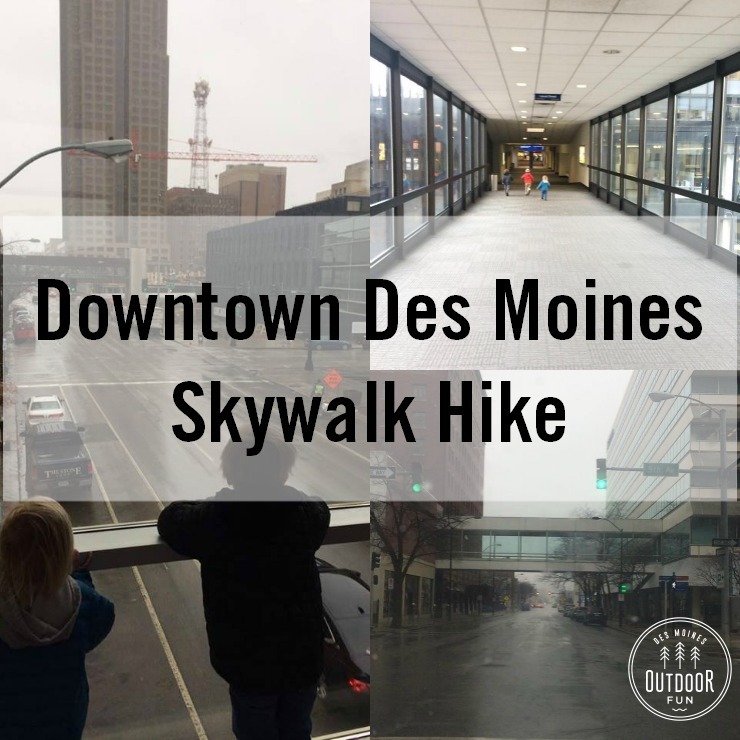 There are a ton of things to do and see, with a cool climbing hut and roller slide. 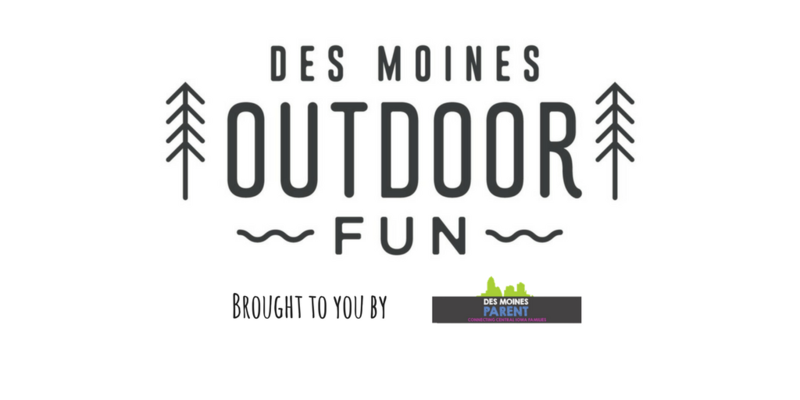 Sargent Park is in Des Moines, with another natural playscape. There is lots to climb up and dig in, with a huge rocks and a few traditional elements like a slide. There is a creek nearby and paved path for exploring, and a giant sundial. 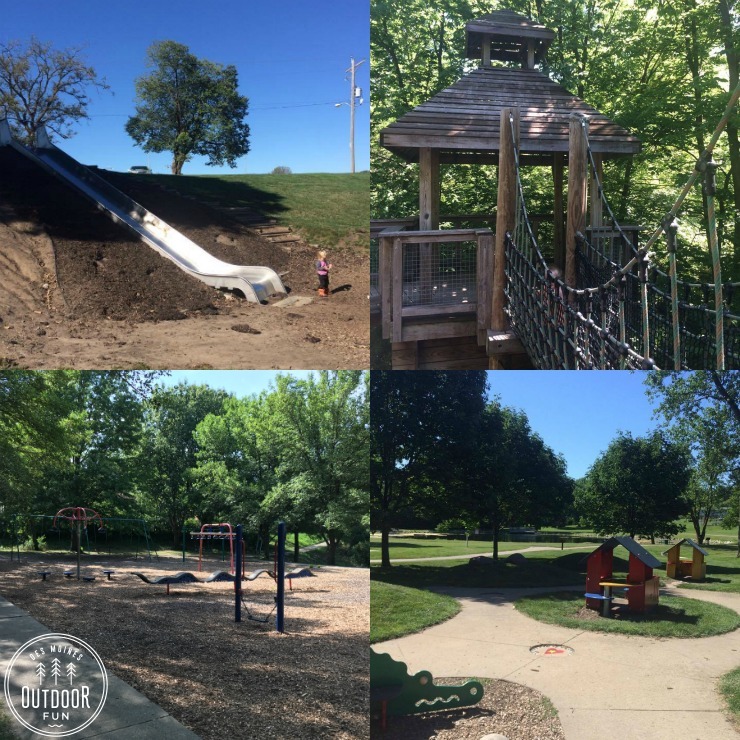 Walker Johnston Park is in Urbandale, with a million things to do. 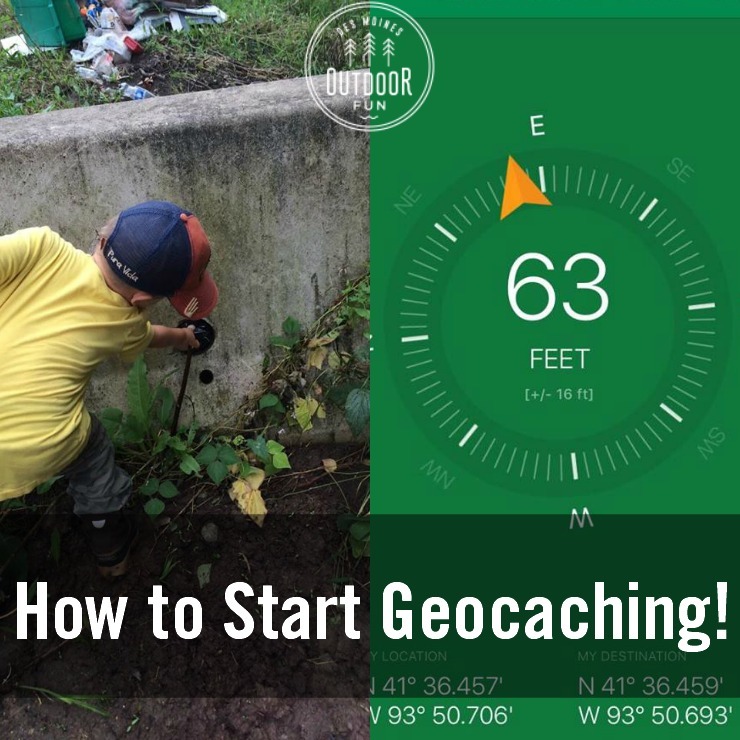 This park has one of the geocaches for my Family Friendly Geocache Challenge! 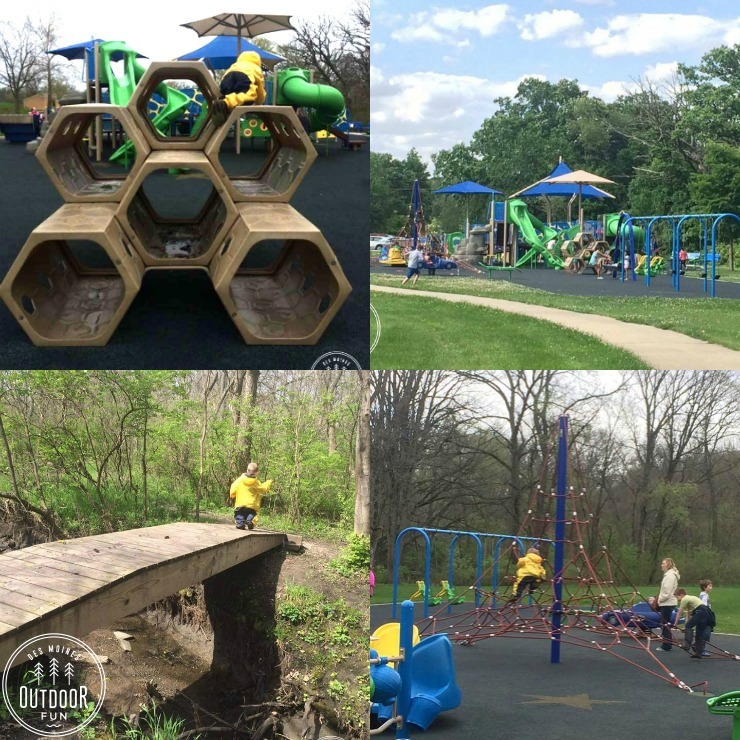 There are two traditional playsets, one of which is tucked away between the softball fields, a cute little toddler area with play houses, a wooden playground set back in the trees with climbing elements, an observation tower, and a pond with a short paved trail around it. Winterset City Park is down in Winterset, and while the playground is pretty standard (though there are two! ), the special features make this worth the drive for a day trip. There is a hedge maze to search for the sundial, a bocce ball court, a beautiful stone bridge for exploring, and then Clark Tower! This cool turret is fun to climb and look out, and there is a dirt hiking path or you can walk the paved drive if you don’t want to take your car up. 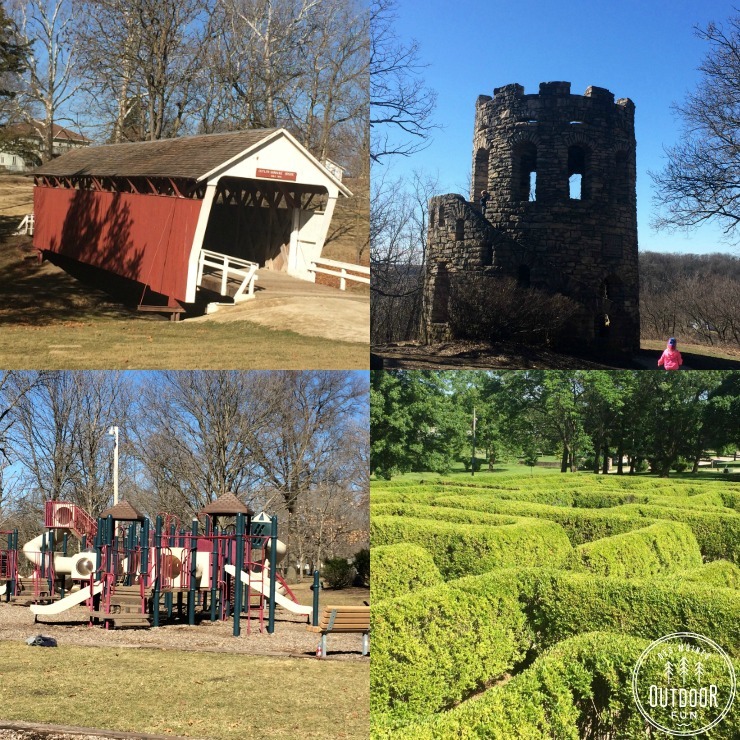 The Enabling Garden in Altoona (not on the map below) is so special and fun, but I left it off because I don’t think all older kids would be amused for very long (but I could be wrong!). There is a splash pad and a cool pond within walking distance, but everything is more or less geared towards younger kids. 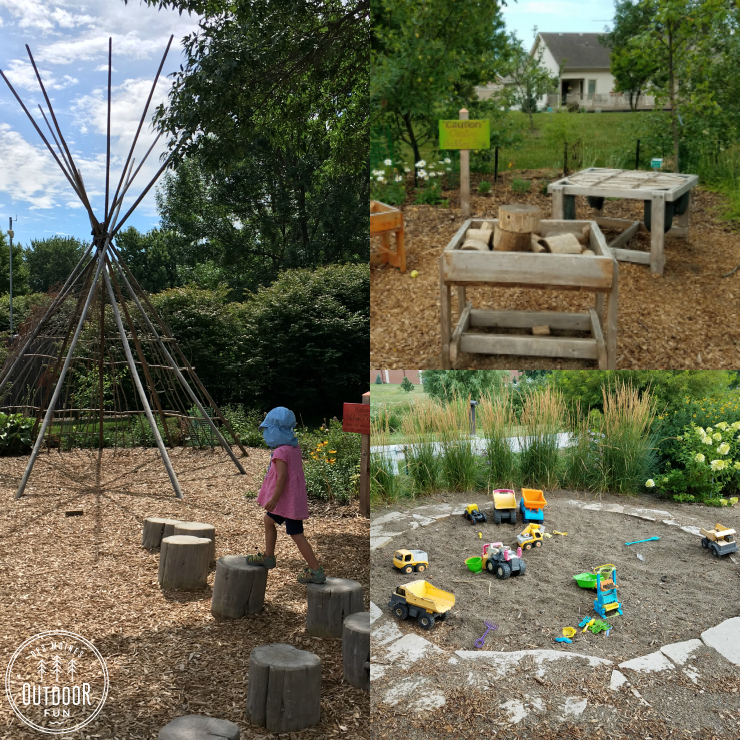 There are beautiful flowers, a fun sand pit with trucks, some musical instruments, and a few loose parts to build with. I highly recommend stopping by if you have younger kids. The sculpture in the Ironwood Park in Altoona is called “Moai Dude” created by me, John Brommel!